Remittances - money sent by Bulgarian migrants to family members back home – continue to increase slightly, but steadily despite the global downturn, data from the central bank shows. The net sum of the remittances from Bulgarians permanently working abroad totaled EUR 473 M during the first seven months of 2011. The increase in the amount of remittances from Bulgarians working abroad has been firm over the last few years. Total funds transferred to Bulgaria annually have gone up from EUR 693.90 M in 2008 to a whopping EUR 759.6 M in 2010. Studies show that the actual money sent home are about 30-40% higher that the official figures. The trend is a striking exception to the global pattern for a decline in the number of people going to work abroad since the start of the global downturn and the amount of remittances they send. Remittances from migrant workers are a lifeline to large sections of the Bulgarian economy, particularly the retail trade and the housing market. Experts say the rise in the the cash brought back to Bulgaria will have a positive impact on the Bulgarian economy and expand people's spending. According to the World Bank, Bulgaria has one of the highest proportions of its population working abroad of any country in the world and remains one of Europe's biggest recipients of remittances. 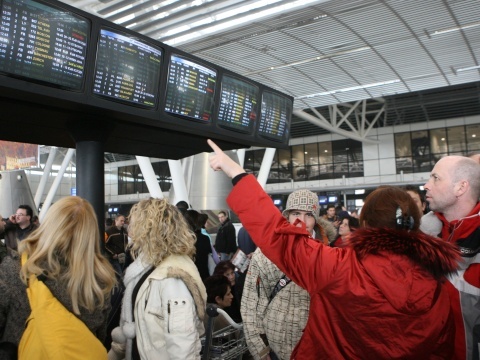 Approximately 1,2 million Bulgarians are currently based abroad, equal to 16% of the population. The biggest Bulgarian communities are based in Spain, Germany, Greece, Italy, Romania and Turkey. According to a survey by the Bulgarian National Bank, conducted at the beginning of the year, only 50% of migrant workers send money to relatives in Bulgaria. The others admit they are not able to help financially their families here even though they are permanently employed. Bulgarians working in Italy, whose community numbers at least 70,000, are most generous and transfer to their home land BGN 370 per month on average, the survey says. Bulgarian migrants living in Spain set aside BGN 280 per month for their families back home. Curiously, Bulgarians in the United States and Canada trail at the bottom of the ranking because of the high living standards and high prices there.